ZIMBABWE – Prophet Walter Magaya of Prophetic and Healing Deliverance Ministries is arguably one the current biggest crowd pullers in the religious circles. It therefore is surprising to find another prophet setting up his tent right on Magaya’s doorstep, so to speak. Meet Daniel Iluki of VIP Ministries in Christ who styles himself The Big Prophet. “I am not a public person. I live my life quietly and do not understand why you want to talk to me,” was his intitial reply when approached by The Saturday Herald Lifetsyle for an interview. He, however, relented and agreed to answer some questions. On why he had decided to set up shop almost opposite Magaya, Iluki said his is not question why but to follow God’s direction. “When you are under God’s direction you do what life wants you to do. You have no choice. 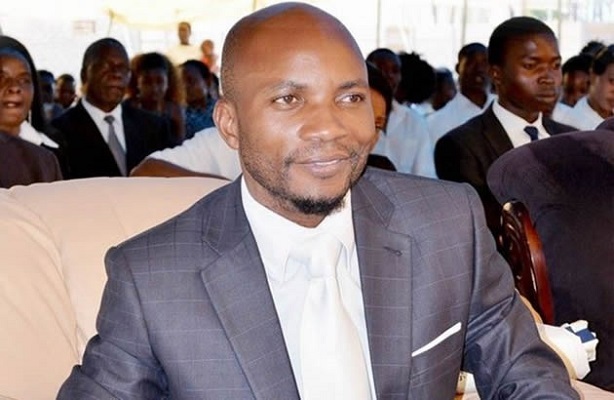 Iluki said his church has grown in the shadow of Magaya’s stature and on the day of the interview he had a long queue of people waiting for a one on one session with him at his premises. Like other prophets he distributes holy oil and water. “This is just ordinary oil. It is the power of prayer that imbues it with strength,” he explained when this writer asked how substances become anointed. Asked on why prophets are proliferating right now with claims to being able to perform all sorts of miracles and if they are really genuine or just con artists taking advantage of a nation that has gone through some tribulations, Iluki said there are always genuine prophets and fake ones and it is for one to use their spiritual eye to see if they are really spiritually motivated. “You can’t say all are true or fake, just like their miracles. But you know a tree by its fruit. People who know God can tell. Every spirit must be tested. There have been sentiments that most so called prophets are just in it for the money with little intent towards spiritual salvation of souls. they doing when they gather all those crowds? Daniel Iluki is from the Democratic Republic of Congo and has been in the country since 2005. He speaks Shona fluently and is proficient in English. He said the VIP is his organisation’s name does not denote a demographic target although he can claim high ranking citizens across sectors among his congregants. “Very Important People are the children of God. It does not matter what you own or do not own. If you give yourself to God, before his eyes you are a VIP. Iluki is in the process of being married. According to this man of the cloth, the clergy should strive to live exemplary lives although being human, they will never be perfect. He fasts a lot and usually partakes of light simple meals.